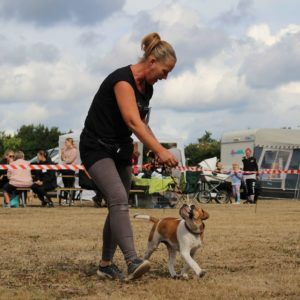 In August the Danish Bulldog Club hosted a bulldog show in Denmark, where Omlet sponsored prizes for the ‘Most Beautiful Head’ category! 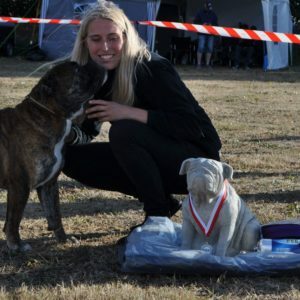 We had a chat with the organisers to learn a bit more about the bulldog and find out why they focus so much on promoting the healthy bulldog. Why is there a focus on promoting health in bulldogs at this show? 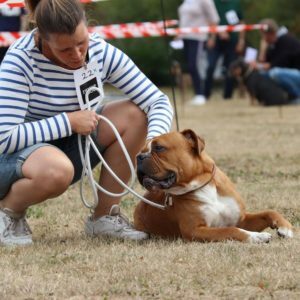 We focus on promoting bulldog health at all our shows and the reason why we have so much focus precisely on health is that many bulldogs (many different varieties) unfortunately have become more and more at risk of illness. 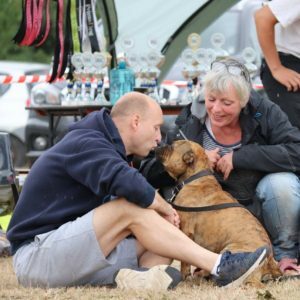 We believe it’s important to show the healthy dog that can breathe, move freely, is not bothered by allergies etc. What are the signs of a healthy bulldog? 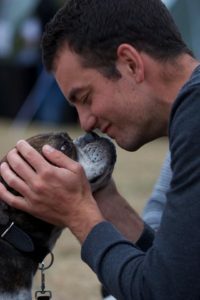 And what are the most common health problems in bulldogs? A healthy bulldog can move around freely. Meaning it is not physically limited. Open nostrils that do not create breathing problems, and it’s important that they are not overweight since this can put pressure on their hips etc. The most common health problems are skin problems, hip/elbow dysplasia, breathing problems/narrow nostrils. 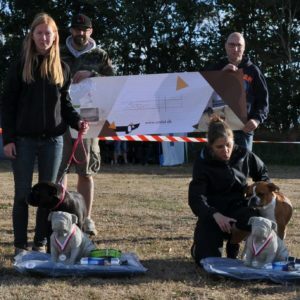 For those interested in getting a bulldog, what can they do to ensure they buy a healthy one? And how can you help your bulldog stay healthy if you already have one? When buying a bulldog, the best way you can make sure it’s healthy is by seeing documentation for the parents such as x-rays of the hips, elbows, back etc. If possible, it is best to met both parents, but at least you need to see the mother. 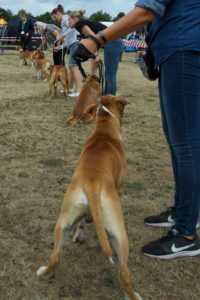 Likewise, it’s important that you familiarise yourself with the breed and for instance go to a show where you can see and meet different dogs and breeders. 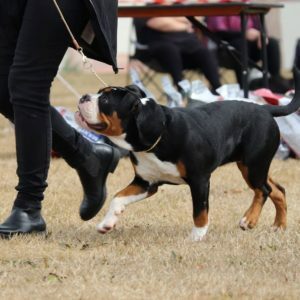 When you have your bulldog, the best thing you can do is to keep it slender/muscular and in good shape. Make sure it gets the right amount of exercise, food and lots of love. Remember that the bulldog is not just a sofadog. A bulldog needs exercise and stimulation just like other breeds. 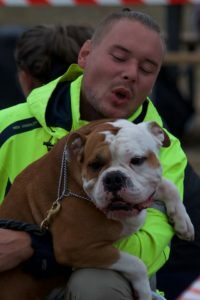 What is the best thing about bulldogs compared to other dog breeds? 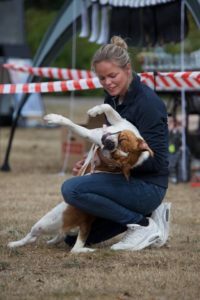 The bulldog is a very versatile breed which is suitable for everything from family dog to a hardworking training buddy. 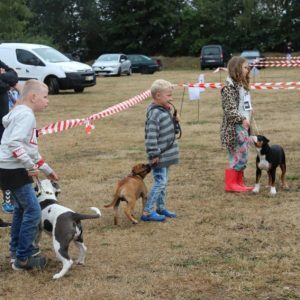 The dogs enormous personality makes it a fun and loving member of the family and its muscular body og strong determination makes it the ultimate training partner for everything from obedience to weightpull. Generally, the bulldog easily adapts to the individual family’s needs. How many different varieties of bulldog are there and do you host shows for all of them in DBC? 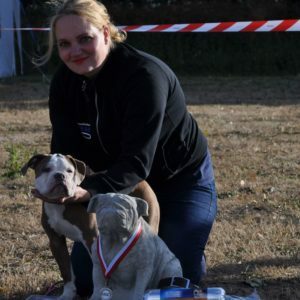 There are: English Bulldog, French Bulldog, Old English Bulldog, Leavitt Bulldog, Renascence Bulldog, Continental Bulldog, American Bulldog etc. 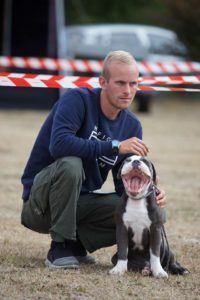 However, in Denmark the American Bulldog is illegal. So far, we only host shows for the OEB and Leavitt Bulldogs. 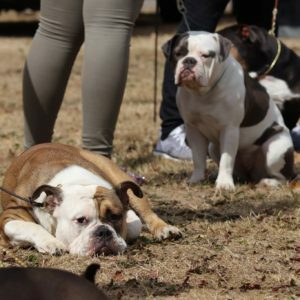 What might people not know about bulldogs? They are super charming and very stubborn but they bring out smiles and laughs every single day. « Tried & tested: Autodoor customers give their feedback!